If you’ve rented a luxury villa for your holidays in France’s Basque region, then you might like to sample some of the local art and culture while you’re there. If a Basque art exhibition sounds like your type of thing, then read on to find out where to go when you’re not on the beach. Art buffs will love what the Basque Country has in store this summer! There is a whole host of exhibitions going on, like “D’une rive à l’autre” (From one river bank to the other) by Agnès Vandermarcq, a painter who uses a variety of techniques like painting and collage on different supports. Her exhibition is being held in Saint-Jean-de-Luz from 24th July to 15th August 2017, and centres around little boats used to cross rivers and oceans. Another painter in the spotlight this summer is Gabriel Deluc. He was born in Saint-Jean-de-Luz in 1883, and died in 1916. Though he led a short life, he produced an impressive collection of art. You can see some of his paintings displayed alongside the works of other Belle Epoque artists at this Basque exhibition in his hometown, from 2nd July to 20th August 2017. From 3rd July to 26th August 2017, Cuban art is on show in Guéthary, to the north of Saint-Jean-de-Luz. This exhibition includes paintings by Julio Matilla, a Cuban painter who trained at the Fine Arts academy in La Havane. His work, inspired by his extensive travels, is exhibited all over the world and appreciated by those with a penchant for colourful art. The region’s cultural offering isn’t just about paintings this summer – there are also some great photography exhibitions taking place. 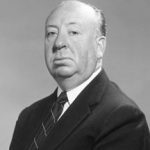 “Welcome Mr Hitchcock” is running in Bayonne from 9th June to 3rd September. This Basque exhibition is dedicated to the time Hitchcock spent in the region with his wife, Alma Reville, for the world premier of Vertigo, one of the film director’s most acclaimed works. Another photography exhibition you won’t want to miss out on is “Sur la route” (On the road) in Ascain. Taking place from 17th June to 12th August, this Basque exhibition is all about different paths, whether it’s highways, skyways or seaways, and how we see them. Where to stay to visit an exhibition in the Basque Country? With Chic Villas, you’ll be spoilt for choice when it comes to finding the perfect holiday property for an arty summer break. We recommend Direct Océan, a fabulous coastal property with excellent facilities and direct access to the beach. This modern villa has everything you need for an idyllic getaway in the French Basque Country. Alternatively, why not go for a different style and stay at Bisquaina, a luxury Basque property as beautiful and relaxing inside as it is outside, with stunning mountain views.